After finding a love for Rave music in the early days of 1993, Dapper has always found the Jungle sound one that he can move to. 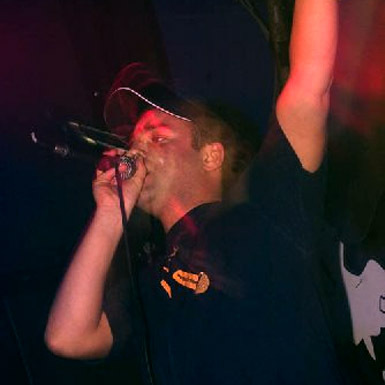 After re-locating to Amsterdam in the Netherlands in 1999 he has propelled himself into the depths of the scene. Having played in virtually every city in Holland with a Rollercoaster Tour in 2001, he has found other international success in Belgium, Germany, UK and Israel. His earliest residency was at the Retox in Amsterdam, but now has residencies at other major drum and bass events such as Supersonic, Ignition and is a regular player at the Forms events in Arnhem. Dapper's words of wisdom are - influenced by the great Bill Shankly: "Jungle isn't a matter of life and death, its more important than that." And he aims to spread the word world wide over the coming years.